Easter Decor – The Hunt is on! It’s time to grab that (shopping) basket and go hunting for your favorite Easter finds. Take a sneak peep at these three Easter. They’ve hopping in store along with tons more fabulous finds and more at great every day prices! 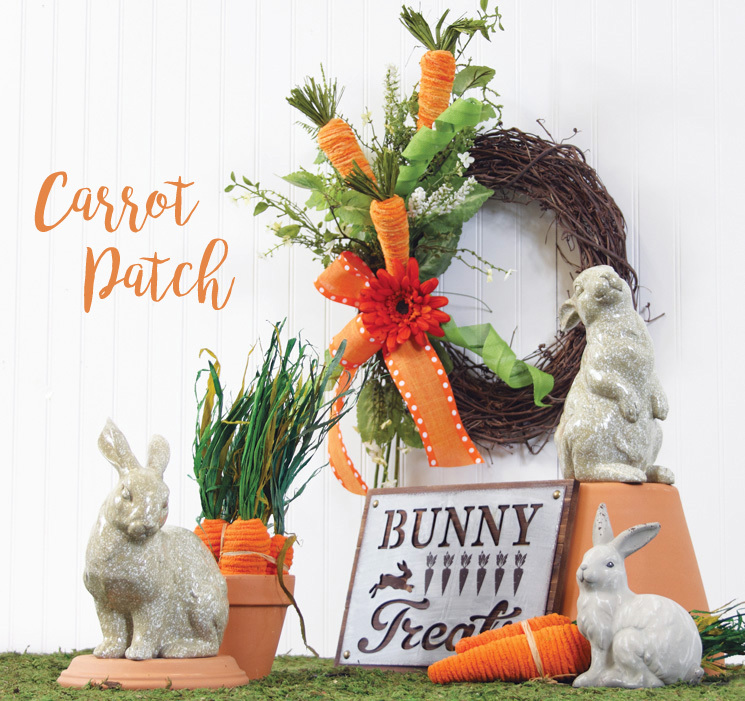 Find some sneaky bunnies munching on their most-favorite veggie treat in our Carrot Patch Theme. 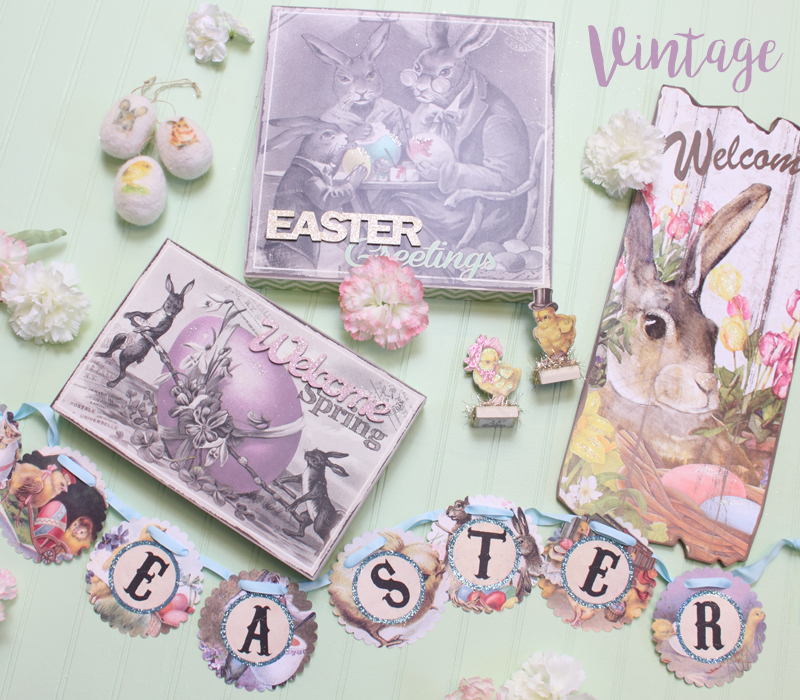 Take a trip down Easter’s memory lane with a Vintage Collection that embraces the timeless favorites of tinsel, glitter, paper and more. 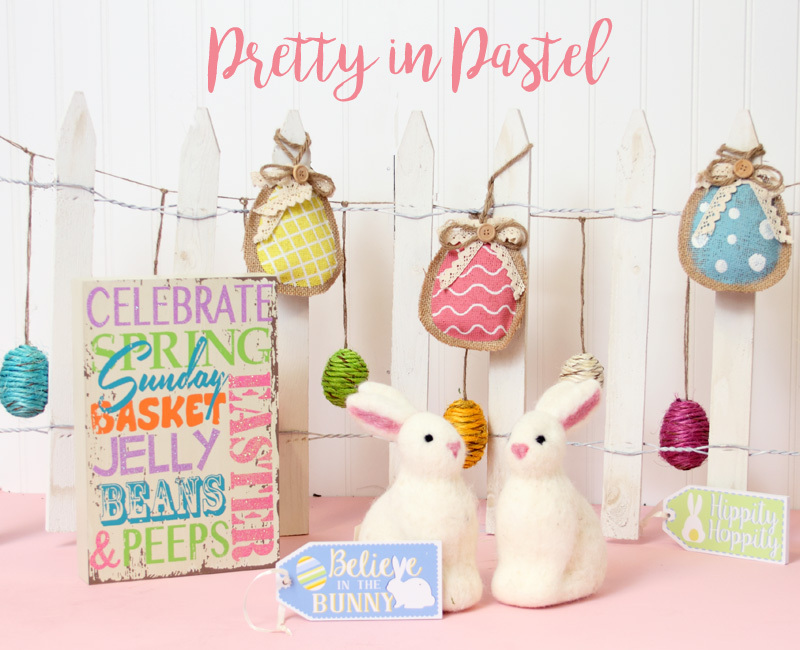 Feel Pretty in Pastels with a sweet theme full of soft hues, fuzzy bunny tails, and happy Easter tidings. New items are arriving daily and selection may vary. Hurry in, new items always go fast!